As an artist, curator and activist, Lawrence English has done much in recent years to bring field recording-based music to new audiences. While his Room 40 label has released work by the likes of Ben Frost, Tim Hecker, Marina Rosenfeld and Rafael Anton Irissari, English himself has steadily amassed an international following on the strength of his immersive albums and hypnotic live shows – both largely constructed from audio materials he himself recorded in the field. His most recent releases include audio explorations of windswept Antarctica and Patagonia as well as a sonic portrait of a Mediterranean island village abuzz with activity. Not surprisingly for someone who spends a lot of time listening to the world, English has developed a rather refined set of coordinates to think about what field recording is, was, and can be. In our interview, he talks about different modes of listening, the organic ears of our bodies and the prosthetic ears of the microphone and how these factors interact to create a space within a space – heady stuff but well worth mulling over. Generously, Lawrence shares not only his thoughts but also a free downloadable bundle of field recordings drawn from his own archives and gathered at various locations in Australia. Your recent album “Approaching Nothing” has a particular relation to Luc Ferrari’s “Presque Rien” – itself a foundational work of field recording as art music. What was the genesis of this project? I truly think that Ferrari’s Presque Rien is one of the great foundational works. It’s beautifully simple and lays out the groundwork for a generation to come. Translated from the French, Presque Rien means ‘almost nothing’ which is what Ferrari said he did with the recordings [of the town of Vela Luka, Croatia]. He just made them and did almost nothing to them after that - just editing them into fragments and placing them together. A few years ago I was talking about the piece with my friends Leila Topic and Petar Milat in Croatia. Petar’s family is from Korcula, the island where Vela Luka is. I was very interested to visit there and they both set about making it possible for this to happen. Anyway, I travelled out there at the very end of summer in 2013. It was literally upon the change of season and in the days I was there the last cicadas called and faded away. It’s an incredibly beautiful part of the world and instantly I sensed why Ferrari had been drawn to record there. Environmentally, socially and historically it has a very particular quality which is rich and deep. I wanted to approach Ferrari’s idea and interests, and move beyond them in some respects. So I feel this piece is very much a second chapter in this exploration of Vela Luka over time. There was a great deal of listening that happened without recording taking place. I wanted to get a sense of what it was I was seeking out of these places, spaces and times. This meant of course some very curious and unique sounds were not recorded, but to me that’s part of the nature of this practice. Some sounds, some experiences are just for you. They are the ghosts of the piece, experiences that resolutely impact on your sense in a given time and place but only persist in memory. “Presque Rien” was made in 1969, but where does field recording as an art form stand today? Specifically what are the implications of presenting what some would consider “objective” or “documentary” material as music? I’ve found myself spending a great deal of time dealing with some of these questions, loosely revolving around a kind of philosophy of listening and specifically the idea of a politics of perception. With specific reference to field recording, I think it’s important to contemplate where this practice has come from and where it is now and of course where it is headed. When we go back to the early uses of the term field recording, it referred to practices stemming from ethnography and anthropology. Recordings made by researchers who at the time – up until the final quarter of the 20th century let's say – were presenting these recordings as ‘objective’ representations of a subject/material. Thankfully this assumption of the 'objective’ has been rejected in favour of the subjectivity of the recordist. If field recording is to move beyond its roots in the 20th century and to become part of the canon of sound arts, then where does the creativity of the art form exist? It’s a simple enough question, but it is one which seems to have been under-theorised. To me, this is where one of the critical gaps exist. We are not talking about pure ‘documentation’ – after all that suggests something wholly removed from the arts. We need to reposition ourselves and I’d like to propose that in fact the position through which a field recorder commences their creativity stems directly from their listening. The French author Peter Szendy has two wonderful provocations that I have been working through for the past few years. He asks ‘Can one listen to a listener’s listening? And if so can one transmit that listening as unique as it is?’. To me, this is at the very crux of what makes field recording exciting. I love to listen to a recording in which I sense the audition of the artist making them. If you listen to Chris Watson or Jana Winderen or Aki Onda or Douglas Quin, their recordings, even of similar subject matter sounds very different from one another. Where their locus of listening is placed is not the same. The way in which they make a space from within the space is very different. I’ve been working on a theoretical position which I hope is useful to other artists exploring field recording. It’s called relational listening and it responds directly to Szendy’s provocations. Specifically it’s about recognising the key elements he raises. "...the horizon of listening is not fixed in a linear fashion like that of the horizon of vision. It is dynamic and always in flux, it is promiscuous and not governed by the same conditions as the spectrum of light." Firstly, that the listener’s listening is subjective, it is of that particular listener. It is different depending on the agency of the listener, it reflects their interior psychological preoccupations and interests. It concedes that what we are hearing is not necessarily what we are listening to. An easy example for readers right now is to stop and actually recognise all the sounds around you now that are being subconsciously filtered out as you read this – the gentle hum of the computer, the television somewhere nearby, someone in the next room or a dog down the street. It also recognises that the horizon of listening is not fixed in a linear fashion like that of the horizon of vision. It is dynamic and always in flux, it is promiscuous and not governed by the same conditions as the spectrum of light. Secondly, if we are to transmit this listener’s listening, then we need to have an interface through which that transmission can take place. That for me is a second ear, the prosthetic ear of the microphone. Unlike our interior psychological listening it does not share any of our preoccupations, it is essentially apolitical. It’s conditioned via certain technological configurations, for example the type of microphone used, and thus its horizon of listening is different as it does not intend to create a space from within the space. It has no interest in us, and yet we must find a relation with it. We must build a connective tissue between our organic ears and that of the prosthetic ear of the microphone. So this is essentially what relational listening is addressing, how we create a relation as artists between these two ears. I have been working on ways to talk about the way these two horizons of listening come into relief with one another. Once the two horizons of listening can be overlapped, there is the opportunity for a listener’s listening to be transmitted. The greater these two horizons of listening overlap the more successful the potential for the transmission of the listener’s listening. It works in reverse also, that the prosthetic ear reveals to us something that becomes our focus in a given horizon of listening. I am sure this is what a lot of field recording artists are doing innately, but we’re yet to have a full discussion around the implications of this as a mode of practice. Another work of yours, “Viento” is based on recordings of wind in Patagonia and Antarctica. How did you get to these remote locations and how does one record wind? Viento was a very particular project for me. In 2010 I had the great fortune to be invited to Antarctica via the Argentine Antarctic Division. They were fantastic to work with and I count myself incredibly fortunate to have had the chance to visit. I was hoping to share a little of the physiological sensation, I suppose via the ears, that I experienced whilst making those recordings. On the way down there, we were stuck in Rio Gallegos in Patagonia for a good few days as there was a serious wind storm going on. It essentially meant the plane couldn’t safely fly out. Most of the scientists and other artists bunkered down in the military shelters. I heard the racket outside and thought, I have to be out there, I have to try and record this. So I spent the better part of three or four days trying to record under some very difficult conditions. A lot of people ask me how I made those recordings of wind and I think it’s important to realise you’re never recording wind, you’re recording the objects being activated by wind. 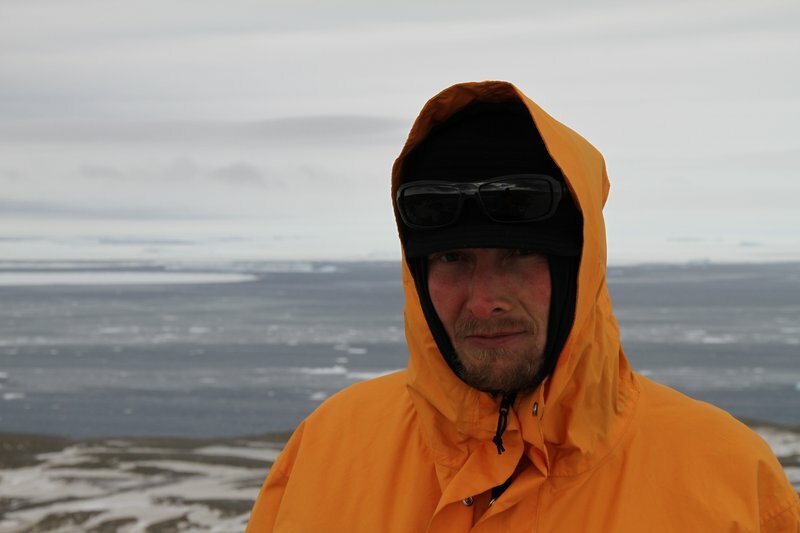 When I was in Antarctica there were numerous wind storms and blizzards that I also recorded. "...these recordings only make sense in time, be patient and let them reveal themselves as you focus on them. The idea of immediacy that so fully dominates our daily lives does not apply." On a practical note, what are some necessities for capturing good field recordings? A couple of necessities, a red bike light to find equipment you might leave somewhere deep in the forest, Francisco Lopez taught me that (thanks Francisco!). A towel, seriously Douglas Adams was spot on with that in Hitchhikers Guide To The Galaxy, you never know when you’re going to need to swat away mosquitos, collect an injured animal you come across some place or just have somewhere clean to take a seat for a while. Water proof boxes and containers is a great thing to remember as well. Mainly though the most important things to keep in mind about listening with a desire to make field recordings is that it’s not a given. Listening takes time to develop and sound is a time based artform. You can’t rush it and moreover, often these recordings only make sense in time, be patient and let them reveal themselves as you focus on them. The idea of immediacy that so fully dominates our daily lives does not apply.